An Iranian state radio commentary said Saturday that Tehran would reject a proposed U.N. resolution that calls for it to suspend uranium enrichment by the end of August or face the threat of international sanctions. The comment came in the absence of any official reaction to the draft that was formally circulated to the full 15-member council late Friday and will likely be adopted this week. However, state radio is often considered an official reaction in Iran. The radio said the draft might not be approved due to China wanting the International Atomic Energy Agency, or IAEA, to decide the issue. The package includes economic incentives and a provision for the United States to offer Iran some nuclear technology, lift some sanctions and join direct negotiations. The proposal also calls for Iran to impose a long-term moratorium on uranium enrichment, which can produce peaceful reactor fuel or fissile bomb material. 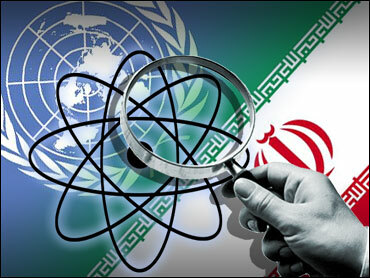 Iran has said it will never give up its right under the Nuclear Nonproliferation Treaty to enrich uranium and produce nuclear fuel but has indicated it may temporarily suspend large-scale activities to ease tensions.